PORNTHIP TINNAPOBWARANON is currently in her second term of employment with SL+A, and is currently our Business Development Manager. 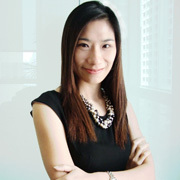 She previously worked as Marketing Manager for SL+A since 2002 before pursuing her studies in the States where she obtained her MBA at UCLA, USA. Her work experience includes employment with a real estate acquisition & investment firm in California, where she had the opportunity to work on investments for a commercial office building and a luxury resort. Her current position with SL+A is working closely with clients to define needs analysis, develop the project brief, sourcing new work for client management on key projects and managing the client’s requirements throughout the project process.